Your prayers have been answered. That's the weekend sorted. 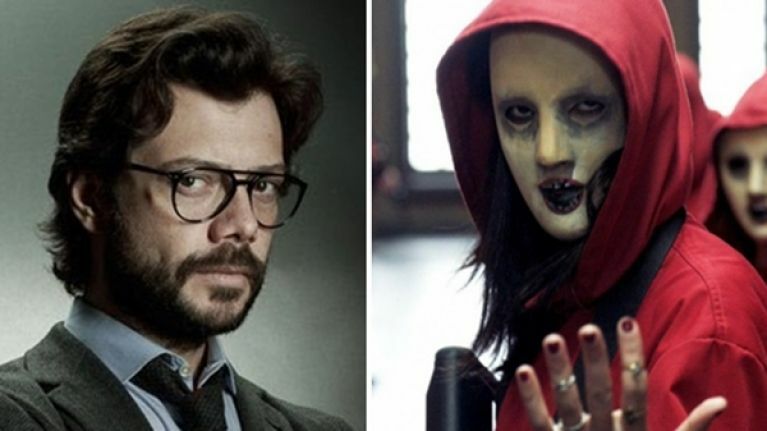 A few weeks ago, we were the very first outlet to champion the superbly addictive series La Casa de Papel/Money Heist on Netflix and it appeared that plenty of people listened. Much like Prison Break and 24 during their pomp, the heist show is that rare hidden gem - incredibly addictive and well written. Each episode seamlessly flows into the next one and if ever a show was designed to be binge-watched, it's Money Heist. A mysterious man, who goes by the name of The Professor, is planning the biggest heist in history. In order to carry out the ambitious plan, he recruits a gang of eight people with certain abilities who have nothing to lose. The goal is to enter the Royal Mint of Spain and print 2.4 billion euros. In order to do this, they need eleven days of seclusion, during which they will have to deal with sixty-seven hostages and the elite forces of the police. This being said, you know what they say about the best-laid plans of mice and men? Like any other people in the world that have to work in such close proximity, alliances begin to forge as seeds of doubt and mistrust grow. In such a highly pressurised situation, can this band of thieves work together to pull off the world's biggest score? 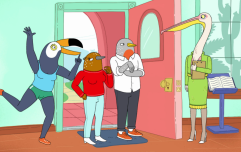 The show is excellent at examining the growing cracks and frictions that develop between the group and you'll constantly be kept on your toes. What's even more impressive is that every character - whether they have a large role or a small one - is given their time to shine. Special praise goes to Itziar Ituño for her performance as the beleaguered hostage negotiator, Raquel Murillo. The plot moves along at a breakneck speed and it's gorgeous to look at, one shoot-out scene is like something that you would see at the cinema. It also helps that unlike other foreign language shows on Netflix, the English dubbing is actually decent. For anyone that hasn't seen the show yet, we're not going to spoil the ending of Season One but it's a doozy. In fact, people were screaming out for Season 2 to be released because they couldn't wait any longer. Well, we've got some good news on that front. @netflix so y’all gonna drop season 2 of money heist? For those that are looking for something to binge-watch over the weekend, there's even better news because Season 2 has just been added. If you haven't started watching Money Heist, plenty of people are urging you to do so. Money Heist on Netflix is one of the most addictive shows I've ever watched, and it's not even in English. Listen, if you haven’t already watch “Money Heist” on Netflix before the second season comes out. I recommend everyone to watch La Casa de Papel (Money Heist) on Netflix. This show is a gem!